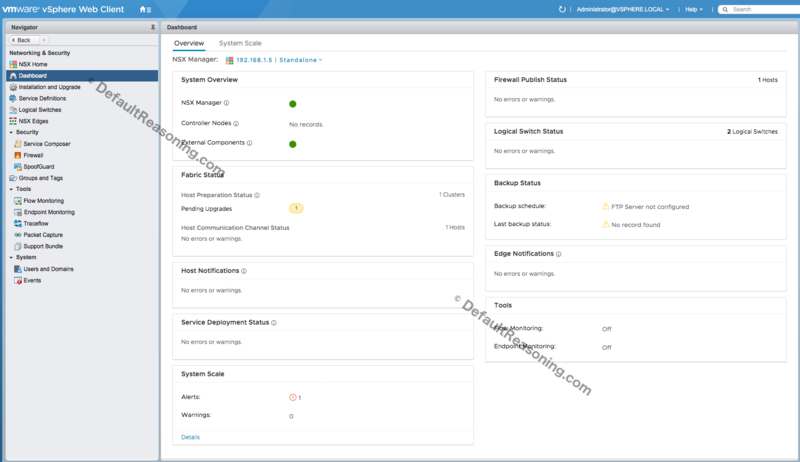 The NSX 6.4 release was GA roughly two weeks ago so I decided to do an upgrade on my environment to see what’s new etc. I am not going into details and what’s new in 6.4 release because you can read it in the release notes. I will focus on the upgrade process which is quite straightforward as you will see. The procedure below describes an upgrade from NSX 6.3.3. Before you begin make sure you download the necessary software from VMware. In this case, I will use the upgrade bundle. Also, check the product interoperability matrix and the product upgrade path matrix to see if your version is supported. And finally, create a backup of the NSX Manager before the upgrade. Login to your NSX manager and navigate click the Upgrade button on the home page. 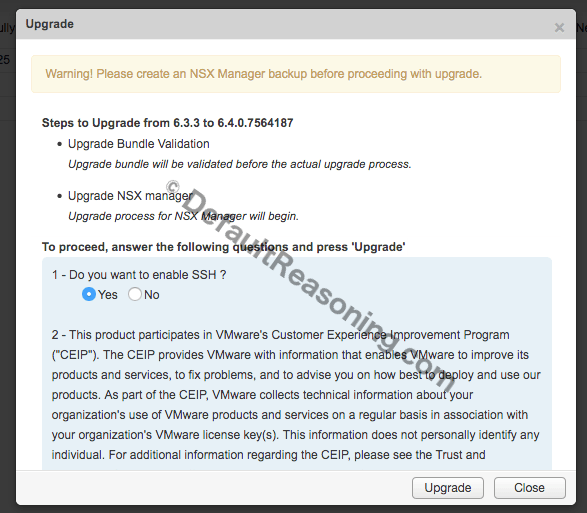 Next, read the upgrade info and select if you want to enable SSH and participate in the VMware Customer Experience Improvement Program. When the upload completes, you will be redirected to the NSX Manager login page. Login back in and verify that the current software version displays 6.4. Next, open the vSphere Web Client and log in to the vCenter Server. From the Home page navigate to Networking & Security. Notice the new overview dashboard. At this point, you have 2 options. Since this is my home lab I went with the One Click Upgrade option. Click Next. Review the upgrade plan and click Start Upgrade. Wait until all components are upgraded. Resolve issues if any and continue the upgrade if necessary. That’s all! 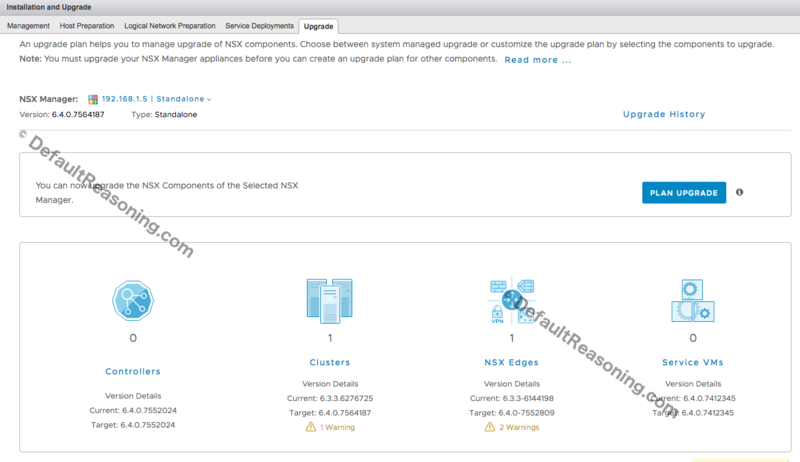 Upgrade NSX to version 6.4 is completed.